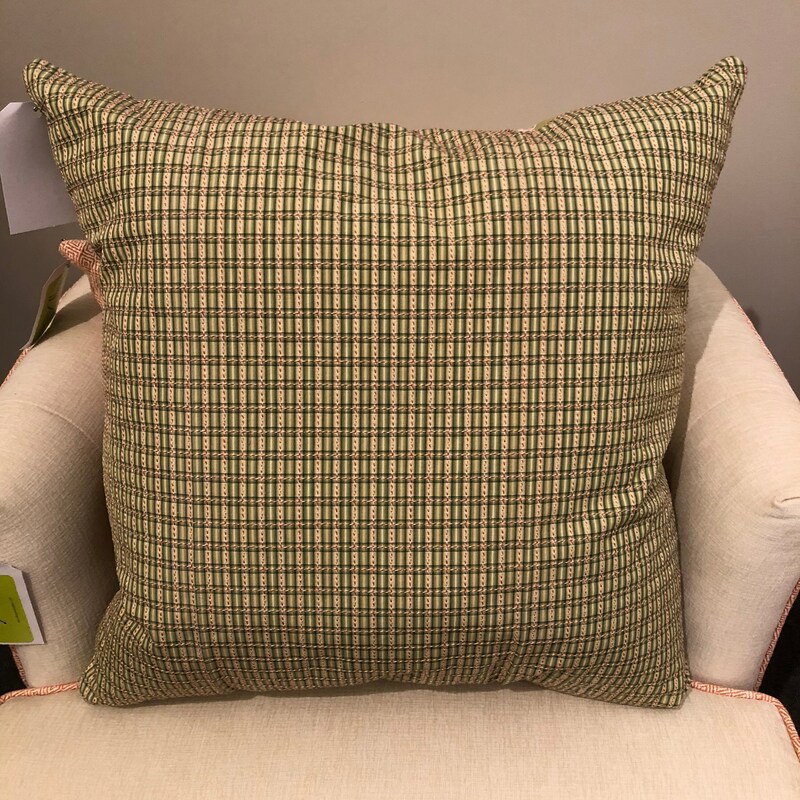 Large 24 inch square pillow. Expensive designer fabric remnant were used to create this piece. 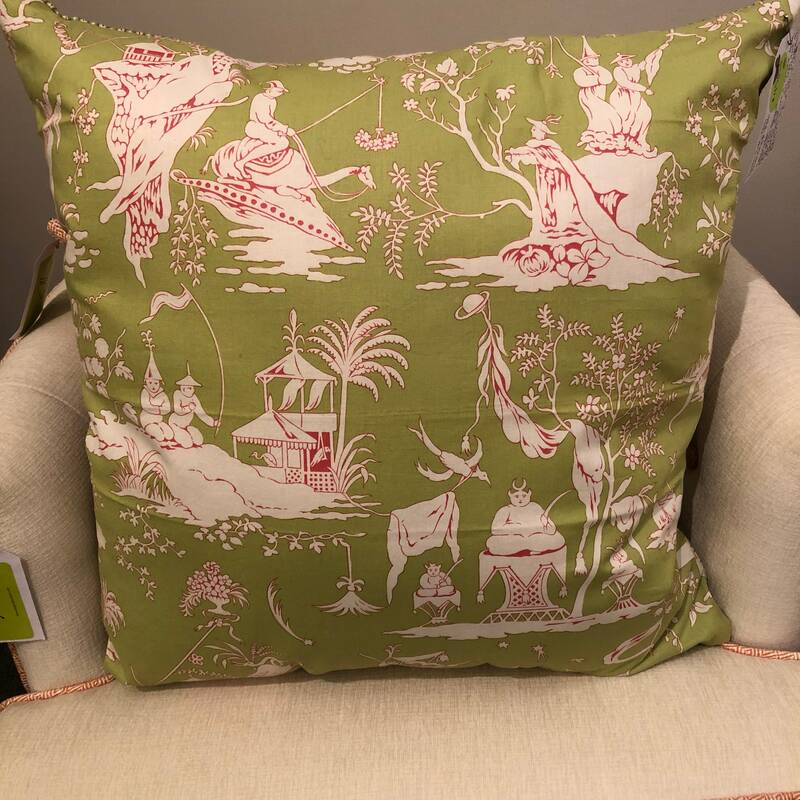 The front is a cotton Chinese tablecloth fabric in both green and pink. The back is a coordinating plaid also in green and pink. To purchase these fabric would cost in excess of $200. By using remnants, we remove waste from landfills and deliver high quality designer fabric to our customers.